So, Module Manager and Community Tech Tree updated recently. Now the KSPIE branched off tech tree is missing. It was there before, but isn't anymore. Anyone know why? ive been trying to get this mod to work in KSP 1.6.1, i download the one for 1.6.0 because its the most recent, but i still get lots of errors and nothing seems to work. it may be that im just a dunce and dont know how to use this mod but imsuspecting that i need other mods installed with it. everything loads in sandbox, but again, nothing works. whats my problem here, or which mods (and thier versions) do i need to install? thx help is much appreciated. Last time I tried to play with this mod this summer it wasn't very enjoyable. Its very hard to find explanations/wiki/documentation on parts and processes and I ended up spending more time figuring stuff out then playing. I am curious if there is anyone else who feels this way too and if any this issue is being improved on? What are your thoughts? Tried loading a save with the updated version from the previous version. Apparently it's missing the files for the Grid Fins, Falcon Landing Legs, and the Dragon Heat Shield. I'm using the latest version (3.1.1) of Module Manager and none of my other mods have been changed. When installed, does not recognize any new science and all parts are no longer available. This was just updated a couple of days ago, is it working with KSP 1.5.1? 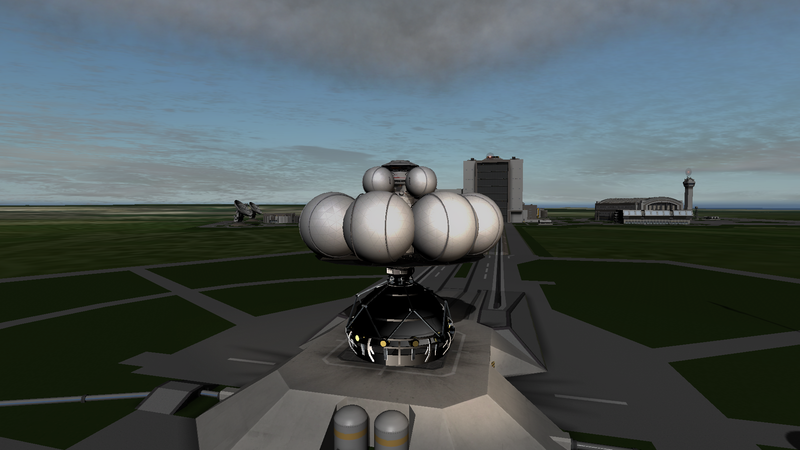 Are you sure you have a version of Module Manager installed that is compatible with KSP 1.5.1? Latest version that was posted Nov 19 seems to be working now. Thanks. I cant get reactors to work, I'm trying to use the molten salt reactor(for simplicity), and I know to put lots of radiators on (enough that all the numbers turn green) but the reactor isn't starting up. do I need another mod for this to work? so I have KSP 1.5.1, and it seems that this mod is outdated, all the parts load in sandbox, but I want them to be unlocked via the tech tree. the problem is, no new tech tree branches are being created. I have no Idea why this isn't working, and some help would be greatly appreciated. Seems to break the Dawn-6315 ion drive. Continues saying Requirements Met 0% and gives no thrust even though Xenon gas is available and chosen as propellant. Help!!! The only parts in career mode are the ones under the meta-materials, specialized electrics, and experimental electrics this is in a save that i had before installing the mod is this a glitch did i install it wrong or do i just need to start a new career? Why it says this is for 1.4.3 Everything here says is not for 1.4.3 and warp is impossible, broke a lot of things. For some reason, my solar panels are only producing MJ and not EC like I want them to. Is there a way I can switch what the solar panel is producing?